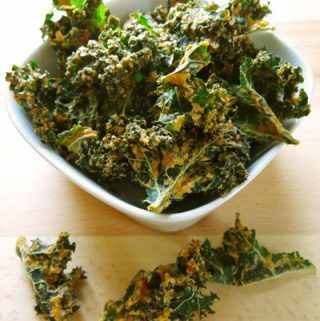 Wash kale and remove leaves from stems. Coat the leaves with coconut oil, use your hands to massage the oil into each leaf. Spread out onto a baking sheet and bake for about 10 minutes. Check often and remove when crispy!